Who can be helped by the information provided in Truthful Living? | Sarder TV – Learning Ideas. You are at:Home»Book Review»Who can be helped by the information provided in Truthful Living? 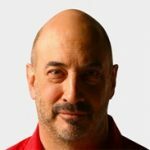 Jeffrey Gitomer talks about what readers can learn from the words of Napoleon Hill and the annotations and teaching guides provided in the book, Truthful Living. He explains what the writings meant to him and that they provide a transferable message for anyone who is willing to try to improve their skills and lives. Previous VideoTell us about the process of taking his writings & creating this book? Next Video Why do some people succeed while others fail?